Let me just start by saying as soon as I got dressed to shoot this look it started snowing hard, out of nowhere! I was not a happy camper, but hey I made it work. This look is super simple to recreate. All it requires is your favorite red dress and some black heels. I ended up accessorizing this look with these fun pink tassel earrings and a black clutch. This is my favorite look out of all three. 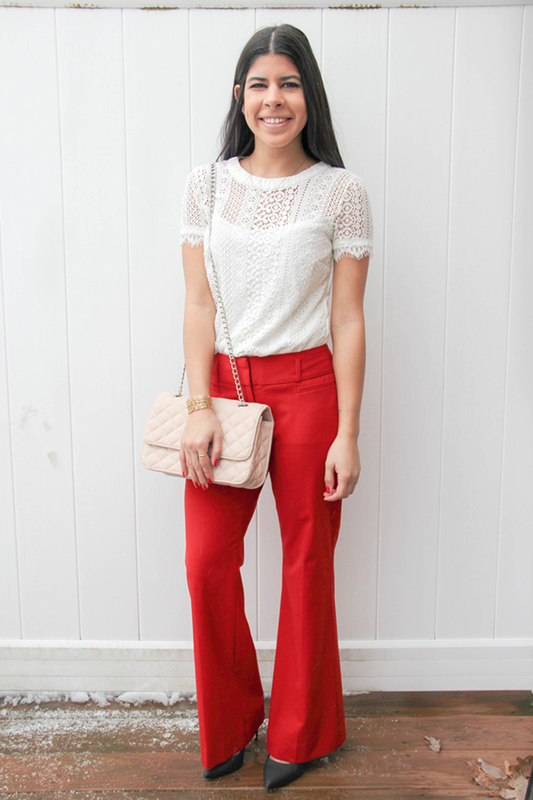 First off, I can't get enough of these red flare pants and pairing it with a lace top worked out perfectly. 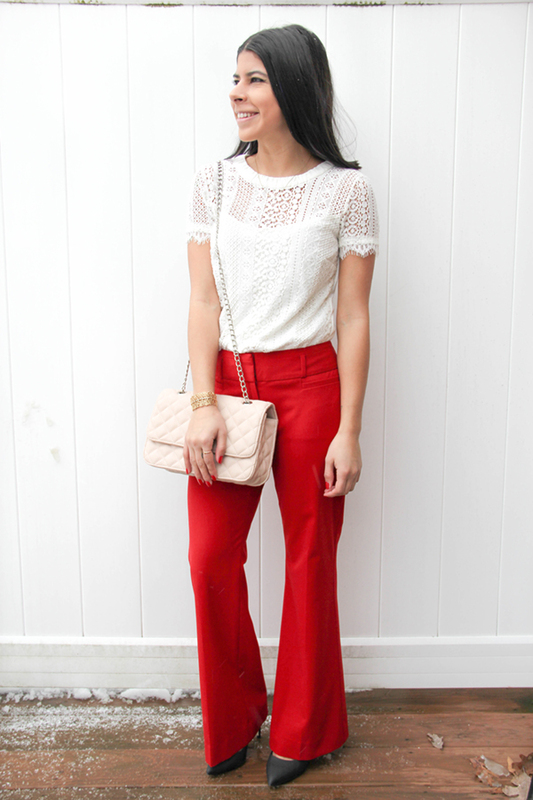 I added the light pink clutch to give the look more Valentine's Day vibes, but it would look just as great without it. The perfect look for a dinner date. I had to include an 'everyday' look for my casual gals. 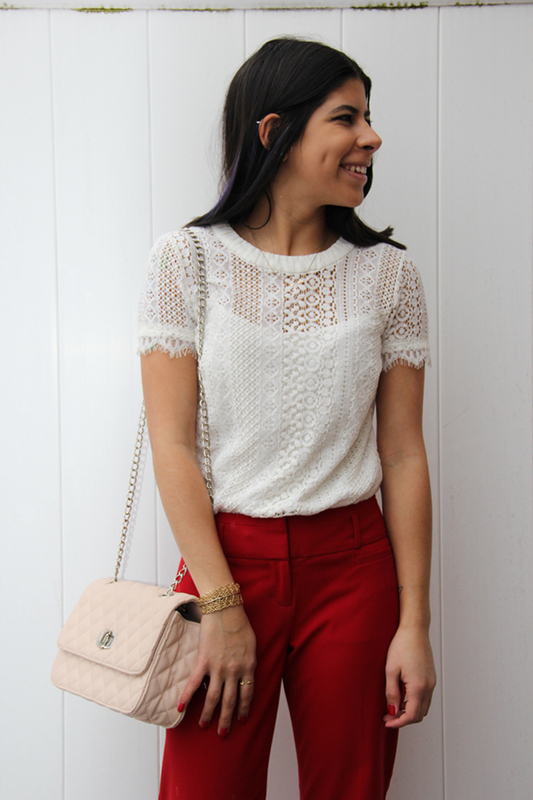 This look would be perfect for a movie date or just hanging out with your Galentine's! PS: I just started using Photoshop to edit my photos. I got the whole sizing thing down, but I'm still working on getting the perfect edit, so bare with me!